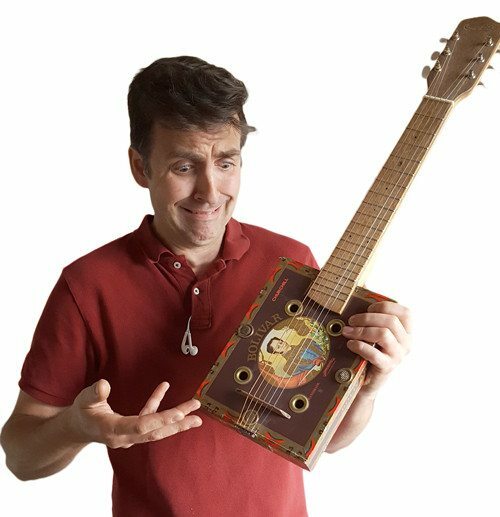 Piezo Pickups – The How-To Repository for the Cigar Box Guitar Movement! How-to info specific to contact piezos, including both disk and rod styles. A lot of new Cigar Box Guitar (CBG) builders (and more than a few veterans) tend to get a bit uneasy when the topic of piezo pickups comes up. Everyone seems to have a different idea of how to use them. Some folks say that they should be built into the bridge, others attach them to the exterior of the bridge; some mount them inside the box lid, others attach them to the outside of the lid. Add in concepts such as insulation methods, multiple piezos, volume potentiometers and wiring schematics, and the waters tend to get pretty muddy pretty fast. This two-part article is meant to be a basic “here’s what you need to get started” approach to helping people install a piezo pickup into their Cigar Box Guitar build. We will cover the basics of what piezo to use, where you can put it, how to mount it, and how to wire it to a jack. We will also briefly discuss the topic of wiring in a otentiometer. Be sure to check out our web store for a nice selection of piezos, jacks and other components at great prices! 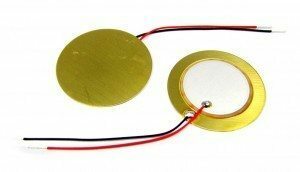 This article is a continuation of the Piezo 101 Introduction to Piezo Basics. In this article we move from theory and general information to how-to info you can put to direct use in your builds. There are two main themes to this section: WHERE you should mount your piezo, and HOW you should mount it. Both of these are very important to consider when your goal is to get the best possible sound out of your cigar box guitar. In this video, CBG craftsman Glenn Watt shows us how to install a basic pre-wired piezo & jack harness (such as C. B. Gitty’s product #50-014-01) in your cigar box guitar. It really is that easy to electrify your homemade instrument!